Some requests might need approval before your team can work on them. For example, a manager might approve leave requests, or an IT manager might approve new system accounts. 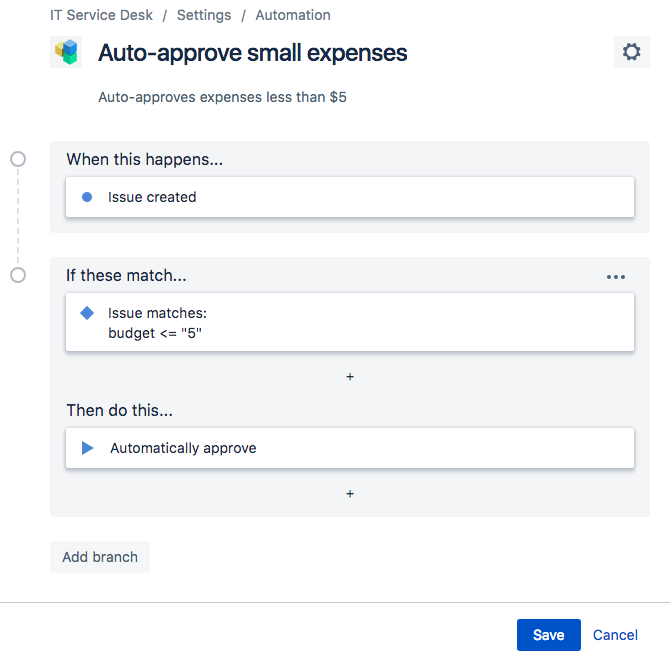 People don't need a Jira Service Desk license to approve requests—they just have to be customers of the service desk project. To require approval for a request, you can add an approval to the workflow the request follows. To do this step, add a user picker field to the request form. Learn how. To do this step, add an approval step to the workflow the request follows. Learn how. When setting up approvals, you can either allow customers to choose approvers by adding a user picker field to the request form or you can choose approvers for your customers by setting up a pre-set list of approvers. By default, your project comes with the Approvers field that you can use for approvals. If you want to use a different field, see Add a new custom field to a project. Before you begin, go to Project settings > Customer permissions and make sure your Who can customers share request with? setting is on Any customer or organization, by searching in this project. This ensures that customers can search for approvers. From your service desk project, go to Project settings > Request types. Find the request type you want to add approvers to, then select Edit fields > Add a field. Optionally, change the Display name, Required, and Field help to give your customers more detail. Make sure you've followed the steps to allow customers to choose approvers. 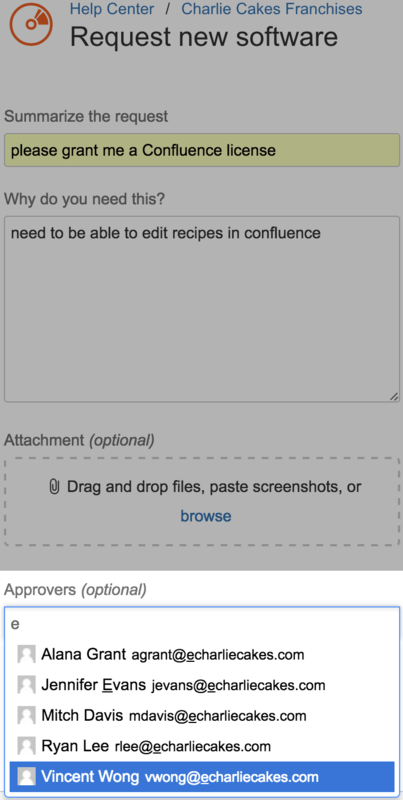 After you add a user picker to the request form, you can add an approval to the workflow. 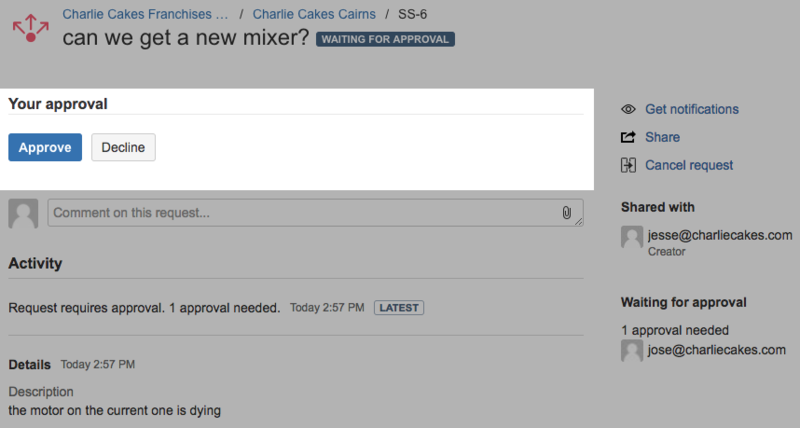 When you add an approval to a workflow, you choose who approves it, and what happens when it is approved or declined. Go to Project settings > Workflows. Select the status you want to add an approval to. Make sure the status you want to add the approval to has at least two transitions: one for Approve and one for Decline. You might add another transition if you'd like an agent to be able to transition the request without a response from an approver. By default, your service desk project includes an Approvers field from which people can select approvers. You might create more custom fields if your workflow has more than one approval step, or if you want the field to have a different name in the issue view. 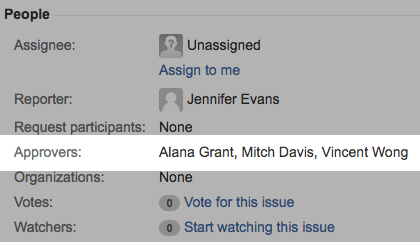 Go to Jira settings > Issues > Custom fields. 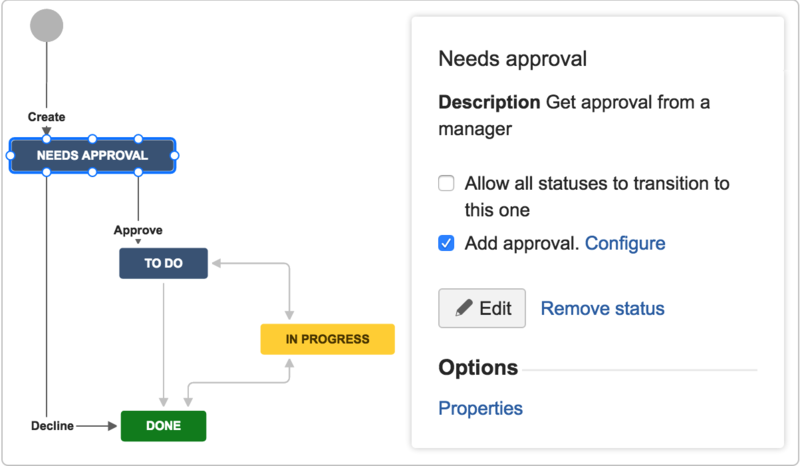 You can use automation rules to auto-approve requests that meet certain conditions. For example, you might auto-approve purchase requests that are under a certain amount. Learn more about creating automation rules. If these match: budget <= "5"
Click Save to create your rule.